Can a social media marketer learn from a master puppeteer? I think so. A master puppeteer steers his puppets to captivate the audience while communicating a story. A marketer can use social media in a similar fashion to engage and possibly enthrall the audience. It would help the social media marketer to adopt some best practices in “outbound social media campaigns” to get better engagement. For a start, here’s a list of 9 best practices that I think are worthwhile. 1. Always begin with the end in mind. Remember Stephen Covey and “The 7 habits of highly effective people”? This is habit #2. What do you want to accomplish for your company with social media campaigns? Brand awareness? Is it todrive registration for an upcoming conference or webinar? Thought leadership? Have a clear vision of what you are trying to accomplish. You may have multiple goals but it is definitely worth exploring and building a campaign around each one. 2. Create individual campaigns for each social network touch point. Remember, each touch point has a unique persona and the rules for posting may differ. For example, one LinkedIn group may be restricted to discussions and ban posting of links, while another LinkedIn group may allow general content and associated links. 3. Recruit your employee teams to become active participants in campaigns, posting into their personal networks and preferred groups. This will amplify the reach of campaigns while enabling your employees to gain visibility and potentially become thought leaders. 4. Research groups in LinkedIn and Facebook that relate to your product and industry. Some things to take into consideration- size of group, demographics of the group members, and group permissions. Be selective. You can start with 5-6 groups and add others later. 5. Be consistent in your postings. Create a calendar. Decide on a cadence. 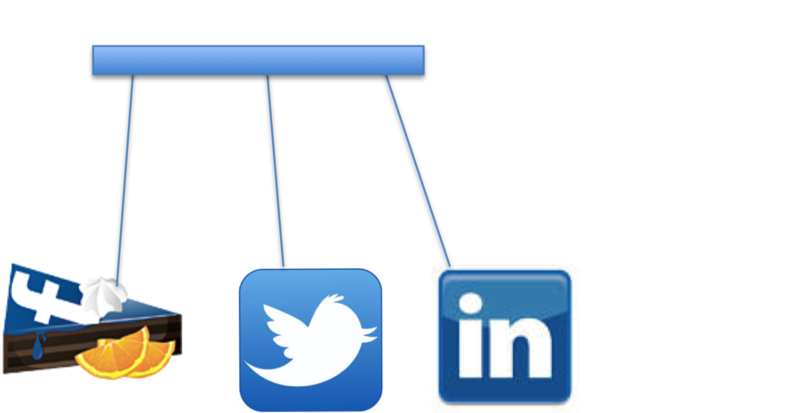 Start with 2-3 articles per day that post to your social networks. Curate current, relevant, and attractive topics that will engage an audience and encourage participation. 6. On the operational side, ensure that you have sufficient articles to post– to fill up your social calendar. In the NewzSocial platform, you can get a view of your scheduled and past posts, thus keeping abreast of the “pulse” of your social media content flow. 7. Deliver content that is appropriate for the target audience. Understand where in the decision process you want to engaging prospects and start a conversation with them. So, if you want to catch the early birds, ask yourself- what content will interest early stage influencers and buyers to engage? 8. Ensure that each curated content piece is associated with a thoughtful comment. This imparts a “human touch” and tone to the article, rendering it more authentic and engaging to the audience. 9. Gather intelligence on your campaigns. Study the analytics- likes, shares, clicks, retweets etc. Hone in on the content types that get the most engagement and replicate those in your next campaign. Track those campaigns that are driving traffic to your website. Adopting the above best practices should help you pull your social media strings more effectively, just like a master puppeteer. If you like this post, please share. Thank you!